1. Stay in a Las Vegas strip hotel – make sure to request a strip view so when you wake up and go to bed, Vegas is the first thing you see. The view at night of all the glowing lights on the strip is amazing! place for lunch buffet! Highlight – giant chocolate dipped strawberries and gelato bar! Bellagio Buffet – top rated buffet in Vegas by Urbanspoon, the Bellagio Buffet offers a large variety of dinner buffet items including Alaska King Crab and Snow Crab legs. Their dessert selection is large too. 4. Outlet shopping – Outlet shopping is a must for Canadians and international visitors heading to Las Vegas. There are 3 outlets to choose from. My recommendation is the Las Vegas Premium Outlets – North location – just 30-40 minutes by public bus transportation on the Strip/Downtown Express (SDX) that runs down the strip. $5 (2 hr pass) or $7 (24 hr pass). Lots of brand named stores such as Coach, Salvatore Ferragamo, Nike, Puma, Michael Kors, etc. Some great deals can be found. This most recent visit, Puma had a 50% off all store ($30-40 a pair of shoes, $20 track jacket, etc). Coach had some 40% off clearance items and $50 off $250+ in purchases. 5. Fremont Street Experience – head downtown on either the SDX or The Deuce (both runs down the strip) to downtown Las Vegas to Fremont Street, where you can see the largest LED screen projection show covering Fremont Street, as well as some of the oldest and most vibrant neon lights-lit hotels in Vegas! Some signature hotels such as the Golden Nugget and Golden Gate Hotel can be seen here. Casinos downtown are also toted as the cheapest eats and cheapest gambling in Vegas. The neon lights downtown also show the iconic and historic Vegas that the new strip doesn’t show. 6. Take a trip to the Grand Canyon – The Grand Canyon is about a 3 – 4 hour drive from Vegas, located in Arizona. Lots of tourist booths and stores located on the strip and inside malls/hotels in Vegas promote tours to the Grand Canyon. You can either rent a car and drive on your own, take a bus tour, or fly via helicopter or small plane. 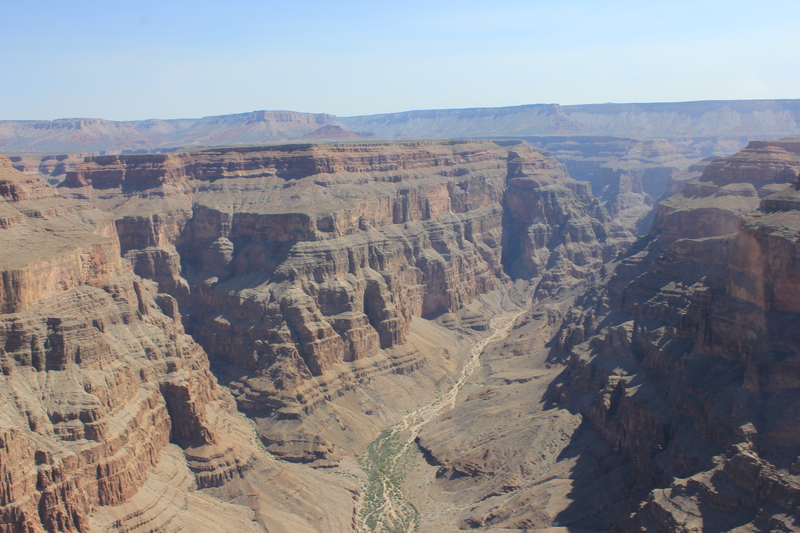 My most recent trip included a helicopter tour (with shuttle pickup/dropoff from our hotel) to the Grand Canyon. The company I selected was Papillon Grand Canyon Tours, through a TravelZoo deal. They charged $224 per person (3 hour duration, which includes roundtrip shuttle from hotel and 1 hr helicopter tour to the West Rim of Grand Canyon). If you can, request the front seats next to the pilot (they determine based on overall weight of the passengers on board, and charge an extra $50 per person to sit in the front). Excellent views and our pilot, Paco, was a great tour guide as well! Well worth the cost. 7. 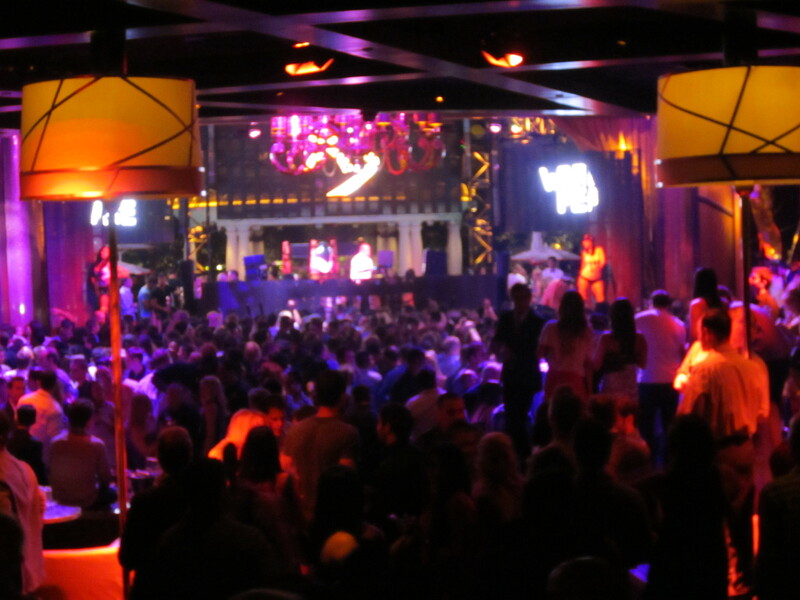 Clubbing – Clubbing in Vegas is similar to most cities in North America – best highlight of the clubs in Vegas is the outdoor pools that adjoin several nightclubs which allow you to dance in the pools. You can also see popular DJs like Steve Aoki, Tiesto, RedFoo from LMFAO, etc DJing throughout the year at Vegas clubs. Ladies normally get in free, while guys pay a cover. On most nights ladies can also get a free drink or with some bars include an open bar up until 11pm or midnight. Tip: Contact a club promoter to get you guest listed for VIP entry, reduce cover for guys, free cover/drinks for ladies. Leave contact info below if you want me to send you a couple of promoter recommendations. 8. Gamble! – Sin City’s number one sin! Gambling can get quite expensive on the strip, especially at the higher end casinos such as Wynn, Cosmopolitan, Bellagio, etc. However, during the earlier times of the day, those hotels also have lower limit tables. We’ve seen $5 limits at Planet Hollywood earlier in the daytime around noon hour. For super cheap gambling on the strip, go to Casino Royale, Slots o’ Fun, and some of the casinos further down the strip i.e. Stratosphere and Riviera. If you go to downtown Fremont Street, those casinos have $3 blackjack, $1 roulette (inside), etc. 9. Explore all the different themed hotels – go from Mandalay Bay all the way down to the Stratosphere to check out all the various free attractions at each of the different themed hotels. For example, my favorite is the Bellagio Fountains and the Eiffel Tower Experience at Paris Las Vegas. You can enjoy both by heading up to the Eiffel Tower and looking at the Bellagio Fountains from up top. The Eiffel Tower also allows you to see a beautiful evening aerial view of the strip. Amazing in the evening! Tip: Grab a coupon book from the taxi cab or airport – it offers a 2 for 1 coupon for Eiffel Tower Experience. 10. Take a limo ride – Limo rides in Vegas are one of the cheapest ways to travel for larger groups. Taxis in Vegas only take up to 4 passengers. Limos can take larger groups and quite cost efficient. At the airport you can catch a limo for around $55 for 1 hr ride on the strip and enjoy a cruise down the strip before being dropped off at the hotel. Some restaurants such as Casa Di Amore send a complimentary limo to pick you up and drop you off from your hotel. Some resort hotels also can provide limo rides back to the hotel – you would just need to tip. Tip: Tips for limo rides should be 15% off the cost. Usually $15-30 a limo ride depending on the length of the ride and the service from the driver. Hope Rachel could you help out!! Hey i was just reading up on your Vegas post and I was wondering if you could give me a couple of contacts for some club promoters? Hi Christine, please check email – I’ve sent you a contact for the person I went through. Will be in Vegas in January for a bachelorette party & would appreciate if you can provide me with contact names & numbers of club promoters. Thanks! Hi Sandy, please check email. I’ve sent you the info for the contact person I used in Vegas. Hello, Me and some gf’s will be in Vegas next week, was wondering if you could share a few promoters contacts? Thanks! Hi Karen, please check your email for contact of the promoter I used. Hi there! My girlfriends and I will be in Vegas for the first time the first week of February and we were hoping you could help us out with some promoter info? So excited for Vegas! !